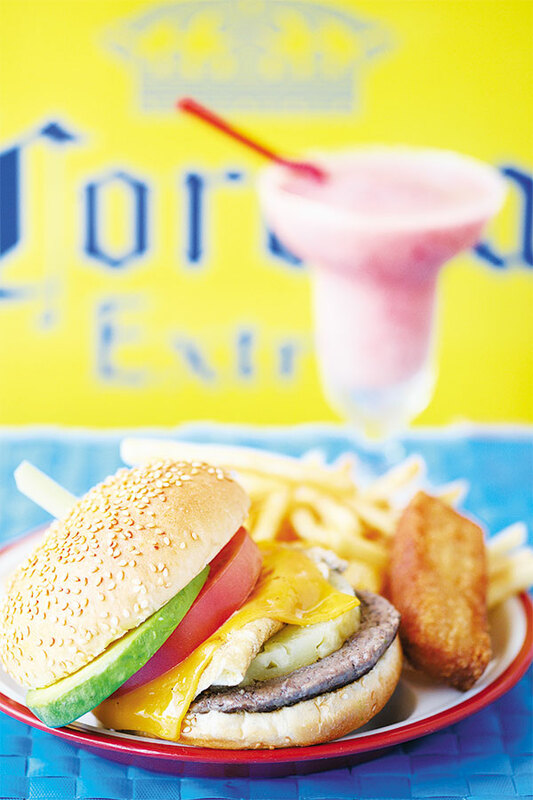 Okinawan dietary habits have received a lot of attention lately. Many researchers and otherwise-curious individuals make pilgrimages to the island in hopes of discovering the secret to the famed longevity of its people, and more than a few of them believe that the secret lies in the island's food culture, based on the concept of ishoku dogen. Local Okinawan dishes are famous for being unique among the cuisine of the many prefectures of Japan. This is due to the distinctness of Okinawa’s food and the use of ingredients harvested on the island as well as Okinawa’s history as an independent kingdom prior to the Meiji era. Okinawan cuisine can be divided into two types: the food served to the royal family, and the home cooking eaten by the rest of the population. Palace cuisine was created for the pleasure of Chinese envoys visiting Ryukyu, while the commoners prepared their meals using Okinawan herbs and ingredients gathered from the island’s abundant natural wealth. And it's this home cooking from which today's Okinawan cuisine, known as a key to the people’s longevity, is derived. 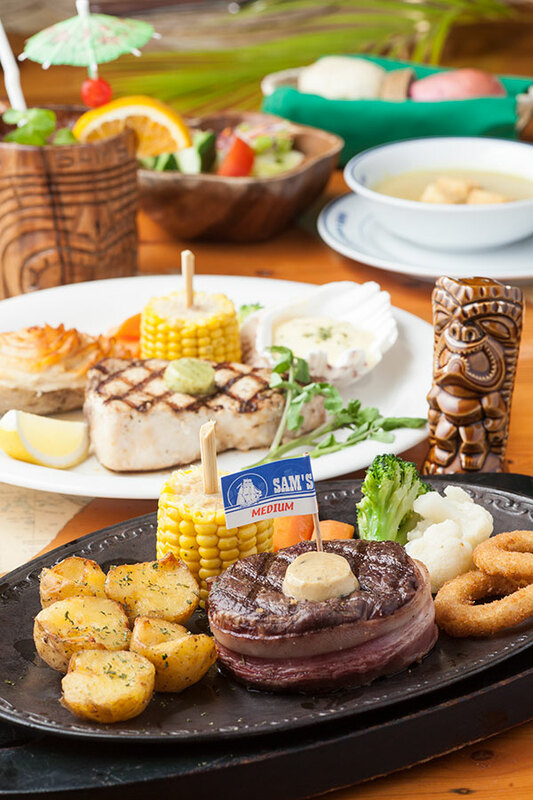 Including specialty marine products such as mozuku and umibudo seaweed, seafood dishes, premier meats lilke Ishigaki beef and aguu pork, champuru (stir fry) dishes and Okinawa soba, which is considered Okinawan “soul food,” a wide variety of tasty delights awaits you in Okinawa. 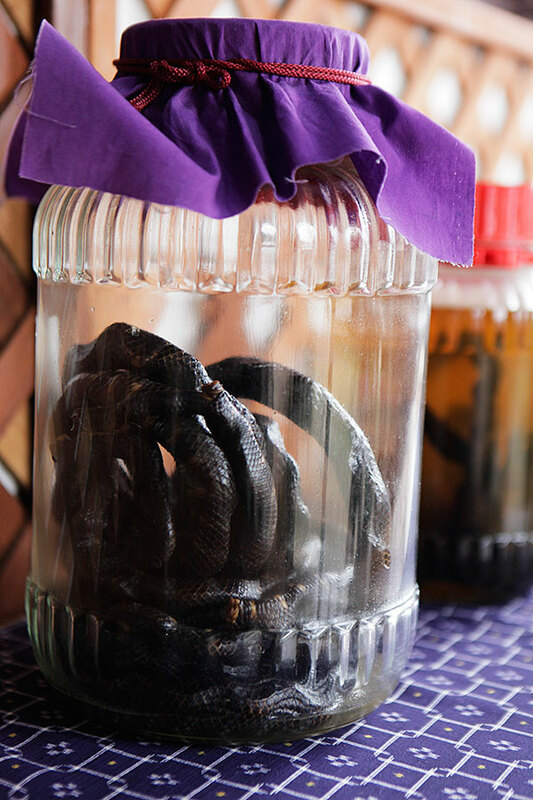 Dishes prepared with goat meat or irabu (smoked sea snake) are also available for culinary adventurers. 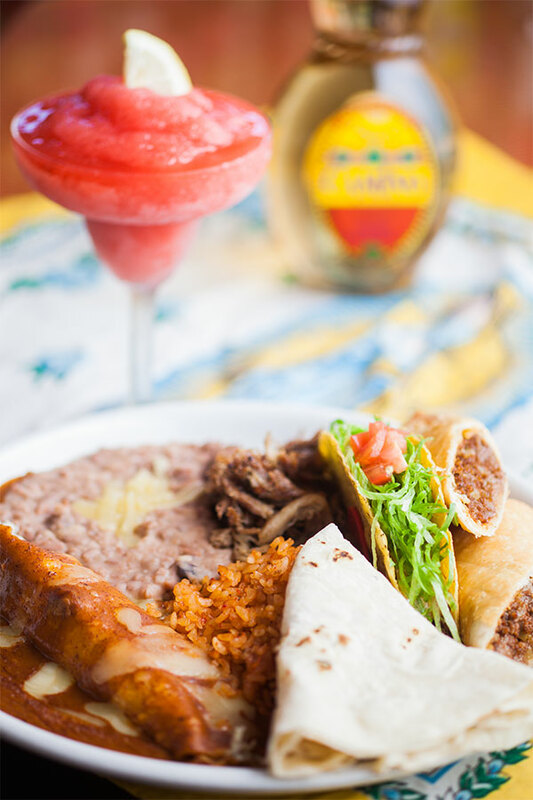 Since local dishes vary by district, an eating tour of the island is highly recommended. Irabu soup was a dish in Ryukyuan palace cuisine that was reserved for special occasions. 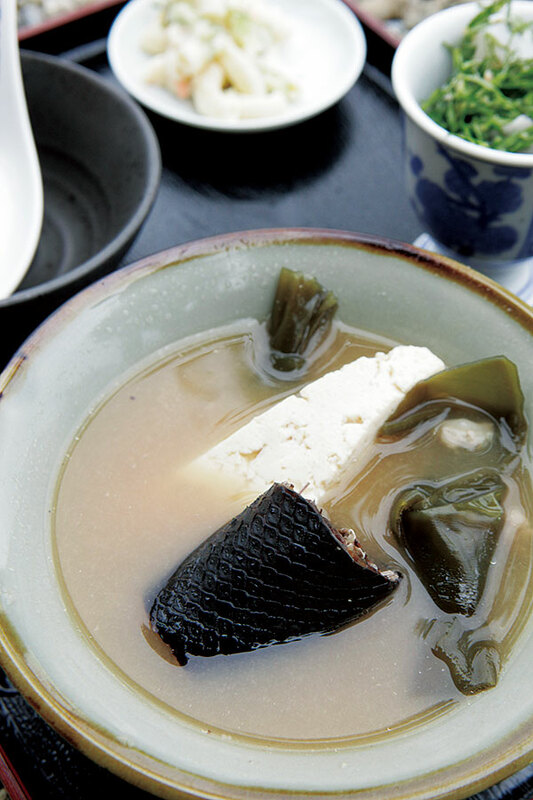 Irabu soup is prepared by simmering irabu, or sea snake, with its skin in kombu (kelp) broth for hours. The skin can easily be removed as you eat. 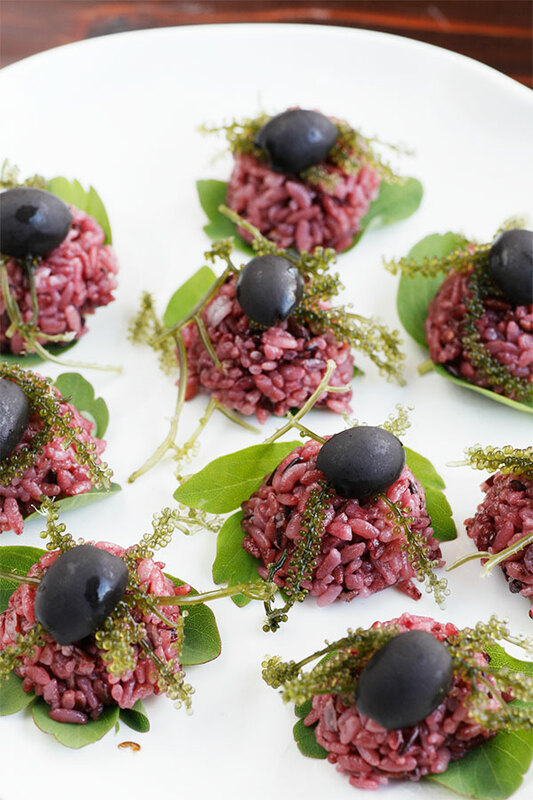 Despite its unusual appearance, irabu’s simple flavor is reminiscent of white fish meat. Irabu soup is a tonic type of food that represents the idea of ishoku dogen. Eating a bowl of irabu soup will be sure to make you feel full of energy. 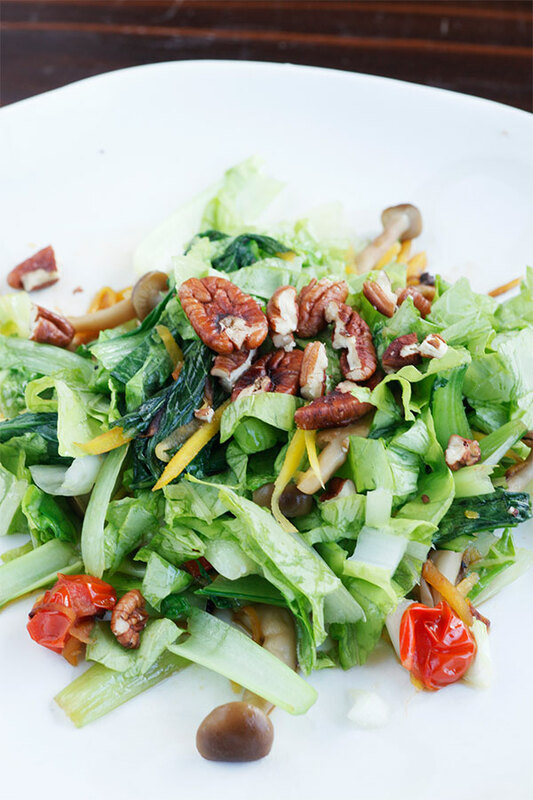 “Kusuimun,” a word used to describe foods that contribute to wellbeing, is an integral part of the lifestyle of the Okinawans and also the basic idea for the Okinawan-style macrobiotic diet. Proof of this is that the island’s tofu, seaweed, mugwort leaves and pork used in home cooking are believed to be the secret of the Okinawans’ famed longevity. 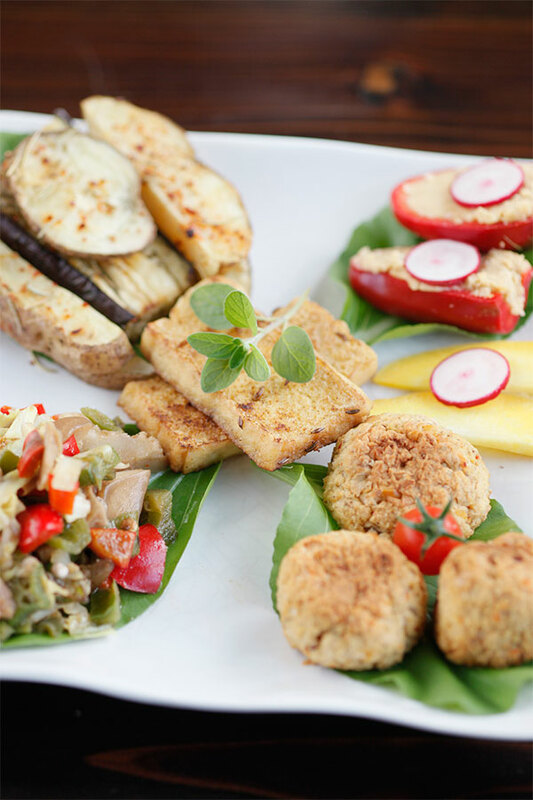 You can enjoy a healthy macrobiotic meal prepared with locally grown ingredients at various places around the island. 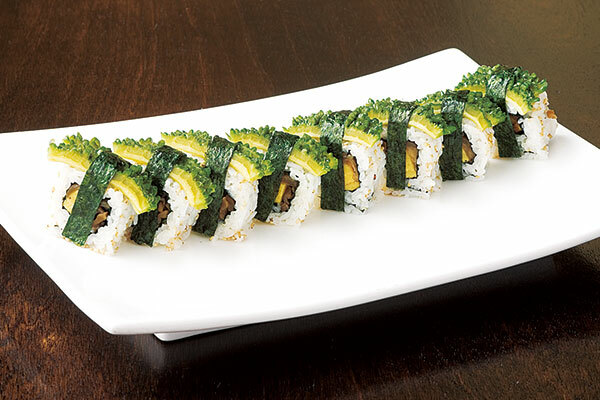 In addition, a couple of restaurants offering halal dishes specially prepared for Muslims have recently opened in Okinawa, and there is also an increasing number of vegetarian/vegan restaurants sprouting up around the island. Okinawan culture can be defined in one word: champuru. The actual meaning of champuru is “to mix together.” Champuru is also the generic name for Okinawan stir-fried dishes. A champuru is usually named for its main ingredient, e.g., goya champuru and tofu champuru, although it can contain several different elements. Champuru, traditionally cooked with konbu or bonito broth and lightly seasoned with salt, is truly a taste of Okinawan home cooking. Just as people have various ways of thinking, each person has his or her own special champuru recipe. Champuru culture can also be seen in other food scenes in Okinawa. Canned pork luncheon meat, taco rice, steak and roast chicken, which all reflect the influences of American and/or Latin American cuisines, together make up the fascinating and unique food culture of Okinawa.